Have you ever been super happy with your hair only to end up seeing one or two hairs that simply won't lay down? If so, then you definitely need this product in your line up. 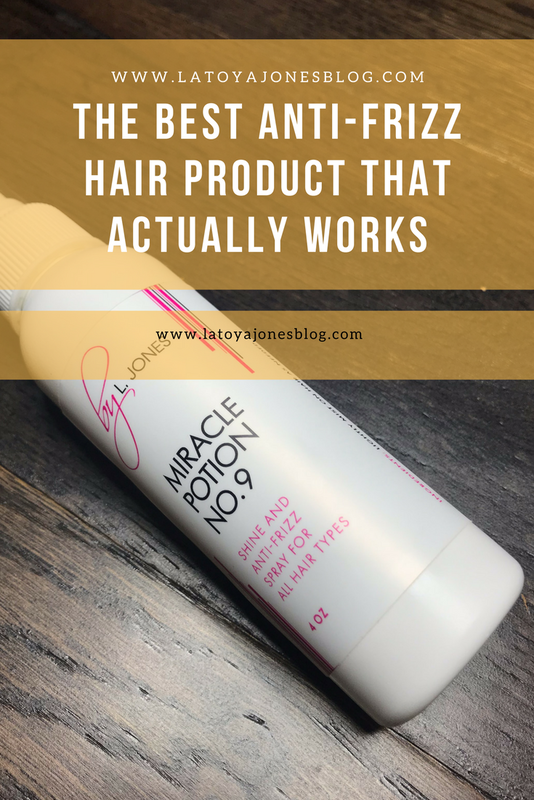 The Miracle Potion no9 in the by L. Jones hair product line is an anti-frizz spray which also doubles as a shine enhancing spray. I originally developed this product to be an anti-frizz spray only, but once I began using it I realized that it also added shine to the hair as well. And not only does it add shine, it does so without making the hair heavy like oil. And, a little goes a long way. Just a few sprays and your frizz and fly-aways are replaced with shine. Also, as an added bonus it makes the hair smell amazing!